When you visit our history-charged manufacturing facility at Hethel, Norfolk UK, you'll explore the epicenter of Lotus life, where our world class, high performance sports cars are all individually hand built. No two tours are ever really the same at the Lotus factory, where precision manufacturing is beautifully combined with innovative engineering. Discover the history and heritage of Lotus as you follow each step in the creation of our magnificent machines, and take a walk through the years that saw the company develop from a shed-based one-man operation into the automotive thoroughbred it is today, and the exciting prospects that are just around the corner. 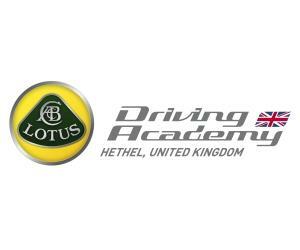 A factory tour at Hethel is a must for all Lotus lovers! The tour begins with a look around our history-charged manufacturing facility at Hethel, Norfolk. You will explore the epicenter of Lotus life, where our world class, high performance sports cars are all individually hand built. No tour of our factory is ever the same. It gives you the opportunity to walk through the years that saw the company develop from a shed-based one-man operation into the automotive thoroughbred it is today. The second part of your tour will take you across to Classic Team Lotus where you will get the opportunity to look around the historic workshops of one of the greatest Formula One teams. The Team Lotus mechanics that supported Champions such as Ayrton Senna, Nigel Mansell, Mario Andretti, Emerson Fittipaldi, Graham Hill and Jim Clark continue to care for the World Championship winning Lotus F1 cars that won 77 Grand Prix. Classic Team Lotus is pleased to offer the opportunity for a privileged insight into everything that went into creating the Team Lotus legend. Gift Vouchers are available on request please contact the headquarters on +44 (0) 1953608547 for more details. Please check website to arrange visit.